But let’s be honest, the images we portray on Instagram from our office outdoor parties are really putting the whole thing in a better light than reality. The pictures we snap are often right at the beginning of the event with our first drink and the sunglasses still on our face. Give it a couple of hours and your six glasses of prosecco has given you a dehydrated headache, the food buffet has been overtaken by insects and lets just say the sun has taken it’s toll on everyone looking their finest. That is if the sun is even out! Weather is an unpredictable beast, particularly in London, but never fear – there are alternatives out there. Have you considered hosting your summer party indoors? Crazy talk I know but it’s becoming increasingly popular. 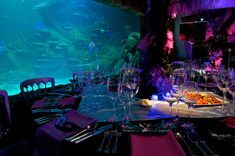 Whether it’s a Hawaiian themed cocktail party surrounded by exotic marine life at SEA LIFE London Aquarium or a Fun Day on the banks of the Thames with an indoor BBQ at Riverside Rooms and the best of London’s attractions at your fingertips – there is no shortage of alternative indoor options for this year’s office summer party! Air conditioning allows you to enjoy your food and drinks in a comfortable temperature and one of the best things about indoor venues is that you don’t generally get wet (4D shows and boat rides excluded). You think you lose that summer vibe by moving indoors? No way!! At Madame Tussauds why not play around with the lighting, add some inflatable palm trees, hand everyone a Pimms and Lemonade, turn up the DJ and all of a sudden you are in a tropical summer paradise, right in the centre of London just a short walk from the tube! We can even go one step further and have a professional photographer with a swag of summery props on hand to capture the perfect #instasummer pic as you arrive, a summer themed buffet of food and unlimited ice cold beer, wine and soft drinks! Sounds like a nice way to spend a balmy evening to me. 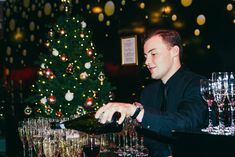 With venues to cater for between 50 and 1000 guests all year round, Merlin Events would love to help organise your summer party, you can contact the team for a same day quote.